No intera­ctive displa­ys or animat­ions to attrac­t visito­rs. 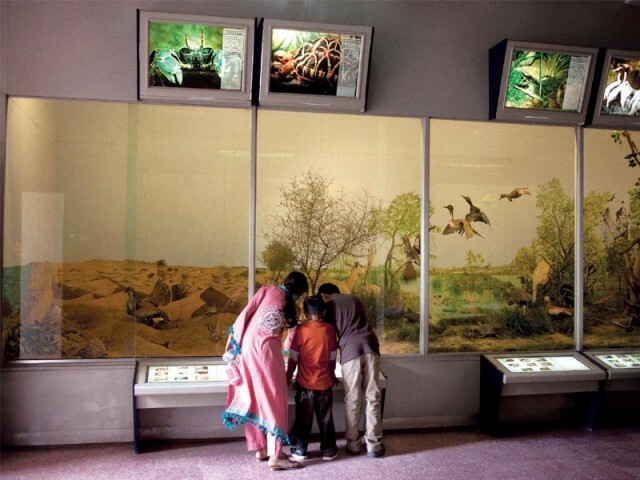 Most visitors to the Pakistan Museum of Natural History (PMNH) are schoolchildren out on a field trip or researchers — people who have little choice. A visit to the museum reveals some of the reasons why it has failed to attract visitors save for the odd tourist. Founded in 1976, the museum claims to be the first and only national repository with a collection of over 600,000 specimens, most of which are used for research. For the first 14 years of its existence, the museum was housed in a small rented building in a residential area of Islamabad. It shifted to its current premises at Shakarparian in 1990. But the attendance at the PMNH has remained relatively low compared to the more popular Lahore Museum, which recorded over 250,000 visitors in 2005. Currently only one of eight blocks in the building is being used to sloppily showcase decaying fossils, minerals, flora, fauna and stuffed specimens. With limited funding and an apathetic public, available resources are diverted to the museum’s research and acquisition departments. While some of the museum’s offerings are behind glass, most are exposed and in deteriorating condition. The hallway near the entrance showcases animals such as a tiger whose tail is now ripped, revealing its stuffing, some of which litters the floor underneath it. Glass display tables are pushed back into the sidewalls in the shadow and are not clearly visible. The focal point of the palaeontology gallery is the skeletons of an elephant and giraffe that humorously dominate the cluttered space. The giraffe’s head almost grazes the ceiling. A seemingly random earthquake room draws one in — bare and fluorescent with an interactive touch screen display and a simulator that is no longer functional. Causes and precautionary measures are mounted on a wall, much like an ignored pin-board in a classroom. In the ecological gallery, flickering diagrams mounted on a wall illustrate cycles of energy, water, life and alternative systems but are not specific to Pakistan. The biology gallery lacks space for life-sized displays of land and marine species in simulated habitats. The exhibits are poorly lit and without any interactive or audio-sensory features. Ahmed believes that changing trends demand a change in marketing the museum experience in order for it to compete with other distractions. “Exhibitions, contests and some revamping could encourage more visitors,” he suggested. Ghazala Siddiqi, a visitor from Karachi and mother of four young history-enthusiasts, described the museum as very “elemental”. This gallery is too basic to engage children who have already learnt about these things in school, she said. Museums should serve to demystify and challenge visitors’ knowledge, she added. Her children were disappointed that none of the interactive features installed in the galleries worked. Hashim Tirmizi, 18, said he was fascinated by the animatronics at the London Museum of Natural History as a child. His eyes lit up as he described the moving dinosaurs and simulated audio. The exhibits at the PMNH do not even begin to compete. Javed admitted that science, art and culture remain low on the government’s list of priorities. The process of obtaining funding is a tedious one, especially with the government’s priorities leaning towards the upcoming election. 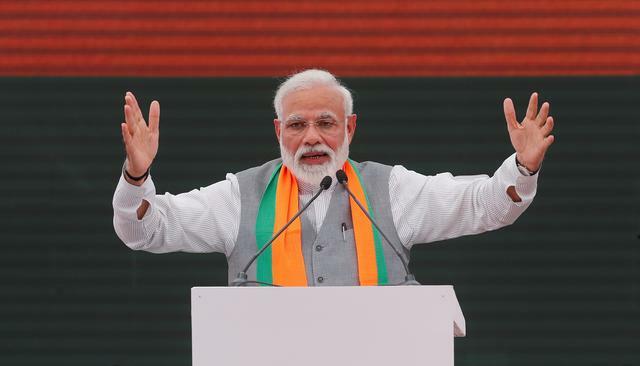 Proposed projects are first challenged by the Planning Commission, then forwarded to a committee under the Ministry of Science and Technology to be pitched to the finance ministry for final approval and funding. After the recent display of a life-size model of the extinct land mammal Baluchitherium, the PMNH is finishing up its preservation of a 40-foot-long specimen of a whale shark, the world’s largest fish. 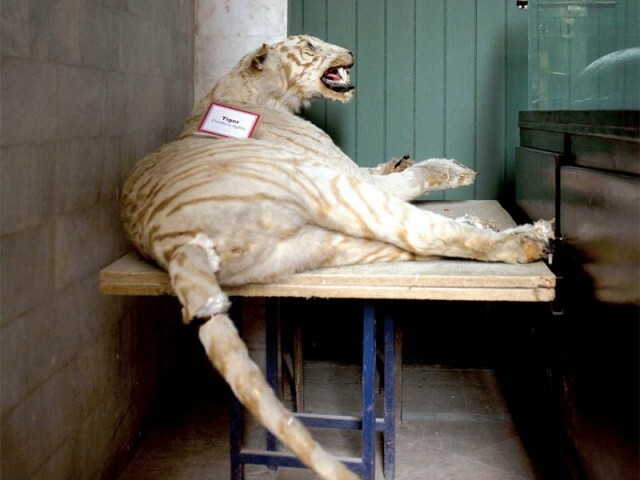 Over Rs200,000 have been spent on its acquisition and chemical tanning and the museum is waiting for funds to continue with its taxidermy for which it has approached UNESCO. Once completed, an entire ocean-themed gallery will be created for the shark, where it will share space with other marine life in the hope that it will attract more visitors. “As a nation, we lack the western world’s passion to promote even the smallest of its discoveries,” Javed said. While most museums around the world are funded by private donations, bureaucratic lag and potential for corruption are turn-offs for local donors. Private donations are being considered but have yet to be approved by the Ministry of Science and Technology or the Pakistan Science Foundation. Published in The Express Tribune, November 12th, 2012. Birds take the famous route of Siberia as they migrate from Pakistan. The Rs1.74 million fibreglass model was prepared in five pieces by artist Asim Mirza. The 40-foot-long shark was found dead on the shore in February. The 40.1-foot-long shark was found dead on the shore in February. No surprise there! History and culture is not only low on Government’s of priorities but as a nation we fail to grasp the value of history and culture. We have some of the oldest civilizations and the most developed ancient cities but neither do we try preserving our history nor do we take pride in it. No wonder 60+ years later we still ask our selves who are what it means to be a Pakistani. Not that I am advocating being nationalist but the nations who fail to preserve and showcase their art, culture and heritage can never engage their future generations and hence fail to pass on the cultural knowledge.